There are many kinds of silk flowers on the stores. You have to choose the ones which can suit the wedding color and theme. 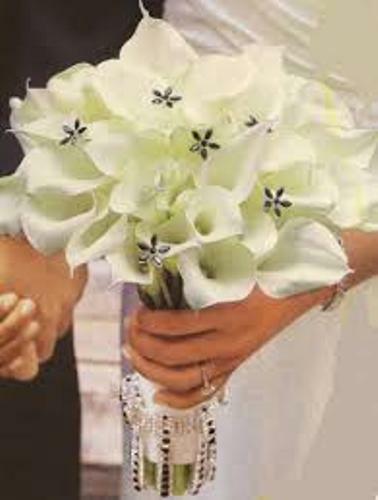 Avoid using the white silk flower bouquet for it will clash with the white dress. The brides find out that the white bouquet loses because of the white gown. You can make the silk flower stand out if you choose colors other than white such as pink, red, yellow or orange. Don’t forget to apply the baby breath or greeneries on the bouquet. Now decide the holder for the wedding silk flowers. You can use the Styrofoam if you want to secure the stems of the silk flowers. It looks good if you place the flowers on the Styrofoam filled inside the vase. If you decide to use the wedding flower bouquet as a hand tied bouquet, you do not need any Styrofoam. Just like the real flowers, you have to cut the stems of the silk flowers to get the desired shape. You can cut the stem in 3 inches. If you find out that the stem is too short, you can reattach the stem using the tape. If it is too long, you can cut it again with scissor. 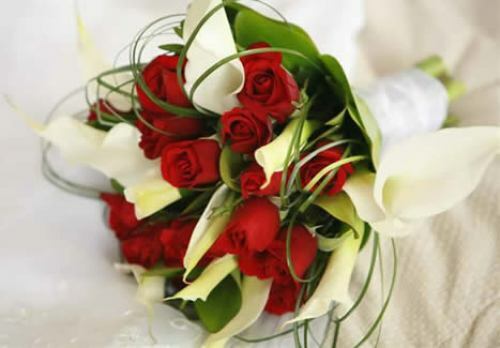 After you have done cutting the stems of silk flowers, you can gather the flowers one by one. You can pick the most incredible flower in the center position. Then you can place another flower in circular motion to create a good bouquet. Now you can decide the placement of the wedding bouquet. You can use it to decorate each table of the guest. Place it as the point of interest in the table. 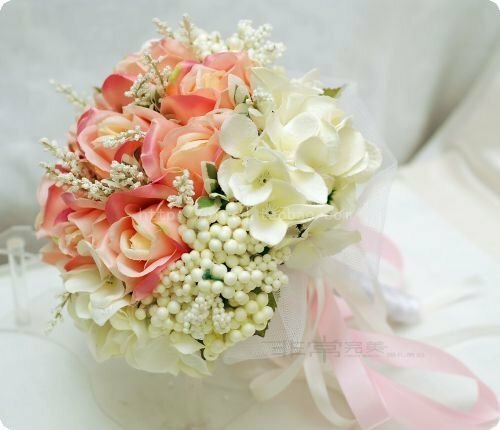 The wedding bride can also take one bouquet of the silk flower for the hand tied bouquet in the wedding ceremony. 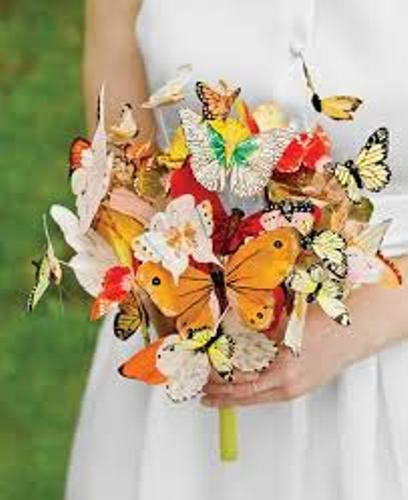 Get more ideas for cute look on how to create a hand tied wedding bouquet. 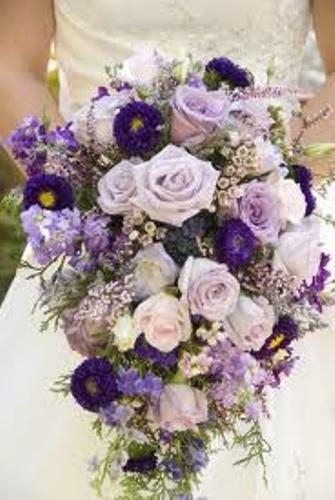 Do you want to share more tips on how to make a wedding bouquet with silk flowers?